As promised previously, here is a FOTD using some of my new Flormar purchases posted about originally HERE and then again HERE. My absolute favourite thing from the brand right now are their terracotta cheek powders, which I'm wearing here. They are so pigmented, and you only need a tiny bit to give a glow to the entire face. And don't forget, if you're in Sydney I have a discount code for you to use to get 15% of Flormar until the end of July 2011. Click HERE for the original post with the code. What are some of your favourite lip and cheek colours to wear right now? Disclaimer: All products purchased with my own money. I am not affiliated with any of the brands mentioned. Great look Lilit! You're photos are fantastic, I wish they had this brand in Perth - I'm very intrigued about it now! 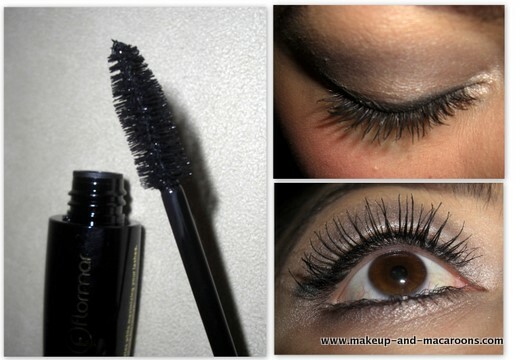 That mascara looks amazing on you Lilit, it gives you the lush false eyelash look. I'm curious as to how well it wears, and how easy it is to remove. @ :) Thank you so much, I'm really loving the cheek colour too. @Megan - thanks hun, and yes I wish they would branch out to more places, everyone should be able to try this brand! @Vita - the mascara wears pretty well, there's no flaking all day and washes off with normal cleanser. It does give the lashes a bit of a crunchy feeling, but nothing I can't handle. @Nat - thanks so much, and the mascara's pretty good at separating the lashes. @Mez - thanks babe, the blush is def my favourite. Wow! That blush makes you look glowing! Love the whole look! Very pretty! That lip color is so pretty! That blush really does give a pretty glow, I like it. Do you naturally have thick lashes already? Cause they look good! I need a mascara like that. AAAARGH I need all of their stuff immediately! Especially that Mascara - it looks great on you! Good Lord! What amazing eyelashes you got! Stunning!!! You look really good on the photos! That glam look is gorgeus and i love your hair!! I hope to see you on my blog. love the blush and the lipstick .. Thank you for your comments everyone, glad you liked the look. @Lerina - yes my lashes are naturally fairly thick, but I still need the help of a thickening mascara to make them even more thicker! LOL. What a pretty face :) I've been looking for a pinky blush myself, but don't have access to Flormar. Also, your lashes look great! Those products look great! I'm especially loving the cheek colour and lipstick! GORGEOUS! I am so envious of how you can pull off ANY lipstick and look beautiful in them all!